Skype can be loved, but you can not not love, but it’s impossible to deny the popularity of this application. It is pre-installed on smartphones and laptops, even grandmothers and preschoolers use it, and Skype login is found in contact data of online stores and on business cards almost as often as a mobile phone number. But while the townspeople are using the popular application with might and main, the more advanced audience that worked with it back in those days when no one knew what a “headset for Skype” is, is already looking for an alternative. After the acquisition of a popular messenger by Microsoft, the program appeared in the program, and not so long ago it became known that in the next couple of months, support for outdated versions of Skype will be discontinued. In an official explanation, developers explain this step by the fact that old releases are incompatible with new messenger functions (for example, sending messages to contacts that are not online). In addition, if users are working with older versions, it is impossible to implement the correct operation of the program when you log on to the network from several devices. No one doubts that there are other reasons why Microsoft is uncomfortable with the old versions of Skype, but they can only be guessed. However, the main thing is that very soon Skype 6.13 users for Windows and earlier versions, as well as Skype 6.14 for Mac and older releases will simply not be able to use the program. If you try to authorize from the old version of the application, you will be prompted to update the program, otherwise the connection will not be established. When people are forced to do something, it invariably causes a desire to abandon the service, no matter how familiar and convenient it may be. But finding an alternative to Skype is not easy, if only because over many years of its development the application has received a lot of functions that can be used on various devices: desktop computers and laptops, smartphones and tablets. And for most of us, giving up a habitual application on a Windows computer means having to search for an alternative on a mobile device. Although the problem, rather, it is with the messenger for the desktop. Mobile applications for the exchange of text messages, VoIP telephony and video calls are many, but not all of them have versions for Windows. Most developers are focused on developing their products for mobile platforms. Nevertheless, messengers working simultaneously on mobile devices and computers, there are, and it’s about them that we’ll talk today. The developers of most modern messengers are betting on the support of popular mobile platforms, and desktop systems are given much less attention. In this respect, Jitsi is a unique program, since it works on all popular desktop platforms, but only Android is supported from mobile, and only in alpha mode. The almost complete lack of support for mobile devices is compensated by a number of other advantages. Firstly, Jitsi’s main functionality is not inferior to “Skype” – the same voice communication, video calls, including group calls, the presence of chat, the ability to display your screen. Secondly, Jitsi is not just a free program, it also has open source code. At the same time, it is quite safe, since all traffic is encrypted. Thirdly, the application has good compatibility with other open standards: for example, audio is transmitted using the Opus codec, Google, Facebook and other popular networks are supported, voice and video calls in Jitsi can be performed through SIP and XMPP accounts. The SIP protocol is useful for communication between users who are on the local network. This way of communication does not require registration – just specify your IP-address and arbitrary login. And in order to make voice and video calls not only in the local network, you can use the free XMPP-service from the developers of Jitsi. To do this, go through a simple registration on the site jit.si, and then enter your XMPP account information (login is specified in user@jit.si format). Jitsi saves call history and allows you to keep a record of missed calls. Also, the application allows you to transfer files – just drag them into the application window. For voice calls, echo cancellation, noise reduction, temporary disconnection of the microphone, call hold, simultaneous voice chat with several interlocutors are supported. 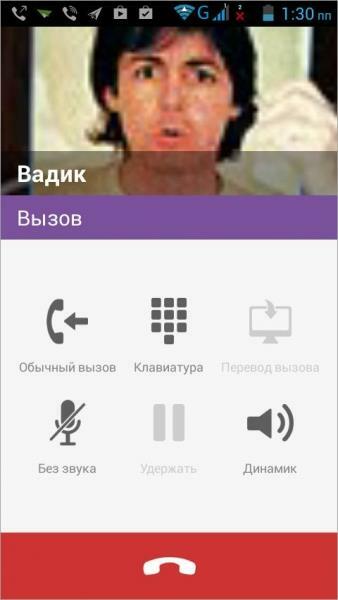 Viber is a project with some Belarusian roots. One of the founders of the messenger is Belarusian, and work on the application is also being carried out in Brest, as well as in Israel. The first version of Viber was released for the iPhone, but today you can use the messenger on almost all platforms: iOS, Android, Windows Phone, forgotten BlackBerry OS, Series 40, Symbian and Bada. And since last year Viber also works on desktop platforms Windows, Mac OS X and Linux, however, with some reservations, which are below. Viber supports all the usual Skype functions: you can chat with friends in a chat (one person can have up to one hundred people at a time), and also make calls, both in voice and video only. True, video calls work so far only in desktop versions of the application, and even then in beta mode. Wishing to use Viber as an alternative to Skype on the desktop, do not forget that initially this application was still developed as mobile. That is why registration from the client for the desktop is impossible. To become a Viber user, you must first install the application on your smartphone. For authorization, the phone number is used, then you need to enter the same number in the client for the desktop. After that, the activation code will be sent to the mobile Viber, which must be specified in the program for the desktop. In this case, if you exit the Viber account in a mobile application, the desktop version will be stopped immediately. Desktop Viber picks up a list of contacts from a mobile phone and displays them in the main window. If you want, you can also connect your Facebook and Twitter accounts – then the list of contacts will become even larger. Those people who use Viber will be marked in the contact list with a special icon – you can call them for free or chat in a chat. Other contacts can also be called, but using the paid function Viber Out. If you install Viber on two devices and more the application will synchronize all messages between clients. If a message has been deleted on one device, it will disappear on the other. Viber offers a lot of ways of self-expression. Communicating in a chat from your mobile device, you can use not only words and familiar emoticons, but also stickers. 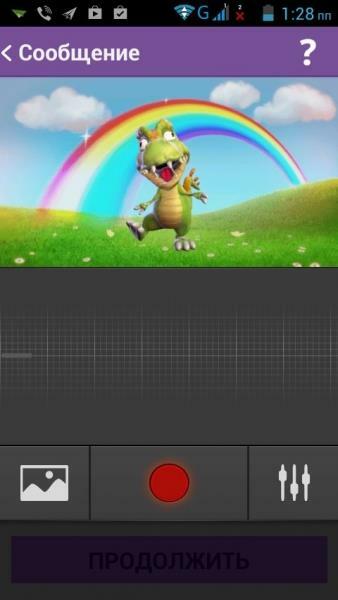 In addition, directly in the application, you can record funny animated videos and send them to your interlocutors. Also available is recording of ordinary voice messages, sending video files and photos stored on the device, sending location information. 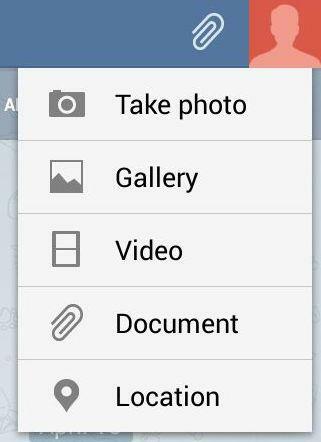 And still you can make pictures and send them to the chat. For desktop clients, sending smilies, stickers and photos that are stored on the computer is working. Among the many settings of the application, you can note the possibility of blocking numbers, automatic deletion of old multimedia files from the device, the ability to hide themselves from the Viber network, a free response to SMS via Viber (if the client is installed at the respondent). Google’s communication service is integrated into various web services of the company, and also exists as separate mobile applications for Android and iOS, and on Android-devices the client is preset by default. From a desktop PC, you can chat via Hangouts from Gmail and Google+. There is also an extension for Google Chrome that adds a mini-application directly to the Windows taskbar. Authorization on all devices, of course, happens through a Google account. All events are synchronized between devices: if you missed a video call, you will see a message on all your devices, as well as the conversation history in a text chat. It’s also interesting that Hangouts synchronizes between devices that are related to notifications. If the computer, for example, has blocked the notification of incoming messages for three hours, then during this time and the smartphone will also be silent. Another function that will be convenient for those who use Hangouts on different devices is to display information about which device is active at the moment. Also in the status can be shown information that at the moment the user is talking to someone. With Hangouts, you can send text messages, location information, photos to your buddies (on mobile devices, you can take a photo from the application or select it from the gallery). Unfortunately, there is no convenient way to transfer files, as in Skype. Perhaps someday, developers will integrate their Google Drive service with Hangouts, and for now only images and videos can be downloaded. On any device, you can start a video call, in which up to a hundred people can participate at the same time. During the video call, the participant who is currently speaking is displayed in a large window, and the rest in the small window box located at the bottom of the screen. On slow connection to the Internet, video calls in Hangouts work even better than in Skype. Mobile versions of Hangouts are integrated with SMS (if the user has enabled this feature), so the application shows a common chat for text messages and those that were sent via the application. 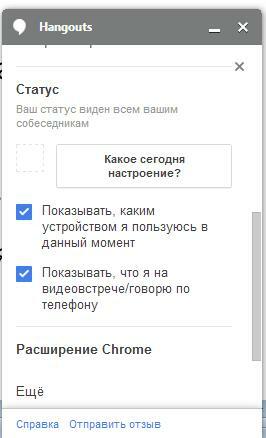 Hangouts for Chrome is a Spartan interface. The application is presented as a separate small window, and also adds its icon to the notification area (its display can be disabled). At the request of the user, it can automatically start with the start of the browser. Telegram is the youngest of the instant messengers in our review, the oldest of its clients is not even a year old. Nevertheless, the number of its active users in the spring exceeded 35 million. For a promising project is the notorious Pavel Durov, who invests money in it. Thanks to such powerful support, there are no paid functions in the application, as well as advertising (and, as the developers promise on the official website, and will not appear, since this project is not profit-oriented). 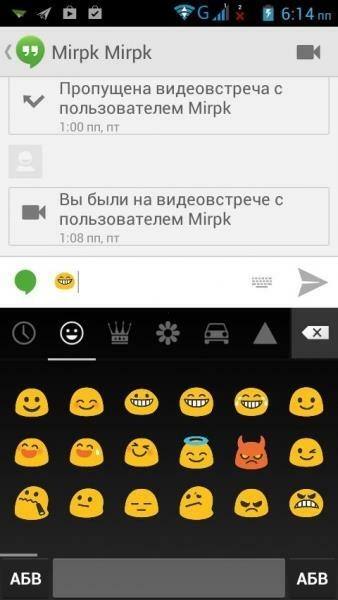 Another Durov is working on the development of Telegram – Nikolai, who is the elder brother of Pavel. Specially for the service, Nicholas created a special protocol for the transmission of messages called MTProto, which provides a high level of security. So high that for hacking the protocol offered 200 thousand dollars in the virtual currency Bitcoin, but only so no one has yet earned. Like other mobile messengers, Telegram uses a mobile phone number as its login. 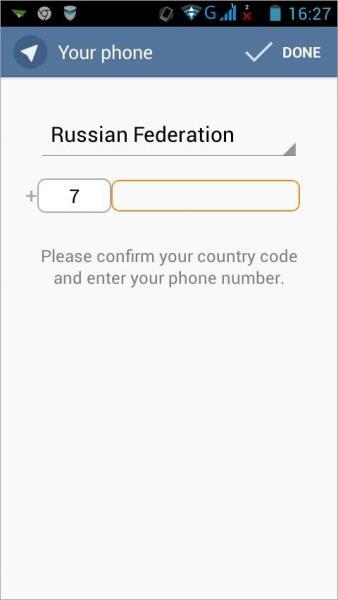 It comes with an SMS with an authorization code. If you use Telegram on more than one device, keep in mind that the first time you log in with the new hardware, you will need to enter a verification code. Therefore, the phone, which was registered, should be kept at hand. Interestingly, when authorizing a new device for already activated devices for security reasons, a message comes. In addition, in the settings of the application, it is possible to remotely break all application sessions except the current session. Telegram will be interesting for those Skype users who prefer text chat to all modes of communication. VoIP Telephony functions, as well as video calls, are not available in Telegram (and so far it is not planned). The application offers the exchange of text messages, as well as the ability to send location information as a fragment of the Google map, attach images, send voice messages and videos up to 1 GB. To record a voice message, as well as shoot a photo or video for an interlocutor, you can immediately, without leaving the chat window. All forwarded messages are stored on a remote server and are therefore accessible from any devices that are logged on as a service account. And there can be a lot of such devices, because Telegram officially supports iOS and Android, and also has unofficial clients for Windows Phone, Windows Desktop, Linux and Mac, it works as an application for Google Chrome and as a web application in the browser. You can communicate with Telegram not only with one person – group chats are provided for discussing issues that require the presence of more people. In this chat room can take up to two hundred people, and invite new members can not only the creator of the group, but all who have already been invited to it. When you open the group chat window, you can see the total number of participants, as well as find out how many of them are currently online. In addition to the usual chat rooms, Telegram also offers private – with an increased level of security. During communication in them, the data is sent directly between the two devices, and the history of the correspondence does not remain on the remote server. 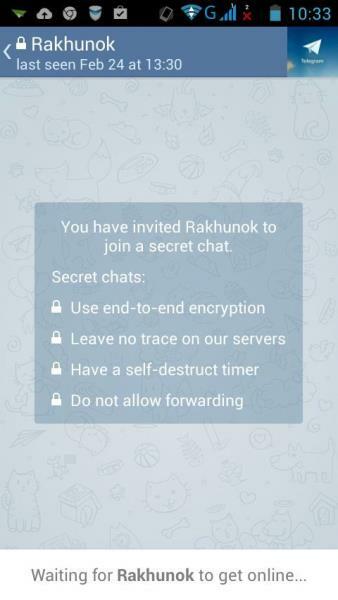 Moreover, when communicating in a secret chat, you can set the time after which messages will be automatically deleted from the sender and receiver devices. However, privacy also has a downside: in the name of security, you will have to sacrifice the ability to access messages from other devices, send messages to other people, and send messages to subscribers who are not currently online. 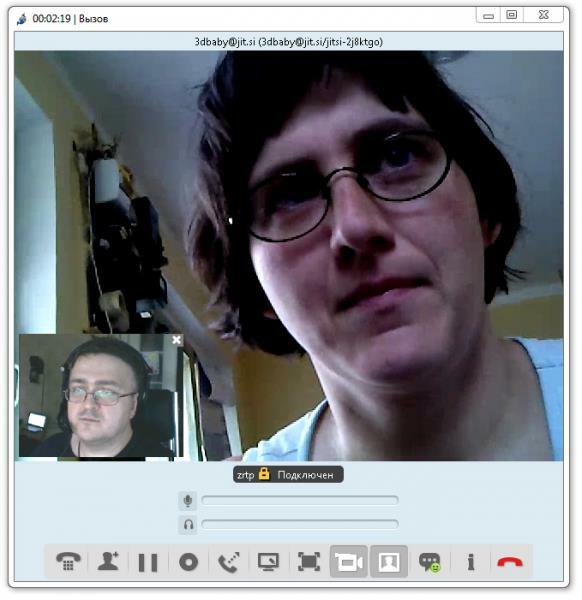 Another application that can be considered as an alternative to Skype is ooVoo. Its main advantages are support for both desktop and mainstream mobile platforms (iOS, Android, Windows Phone), as well as the ability to make video calls on all supported devices. Moreover, making video calls is the main purpose of the service, and this function is given much attention. The transmitted video can be supplied with various special effects that are superimposed on the fly. Video chat can simultaneously communicate up to 12 people, and not all of them must necessarily be users of the service. If there is a desire to communicate with those who do not have the ooVoo application installed, you can generate a link to the videochat. Those who receive this link will be able to join the videoconference directly in the browser, specifying the details of their Facebook account or the ooVoo account. ooVoo for Windows is more functional than mobile applications. So, in a desktop client, you can send any files (in the mobile version – only photos and videos), record calls and video messages, watch videos on YouTube with friends, transfer pictures from the desktop. Unfortunately, ooVoo has not only advantages, but also drawbacks. The main one is intrusive advertising, which appears both on the computer and on mobile devices. You can remove it by going to a paid version of the service, which also includes the function of storing up to 1000 minutes of video on the servers of the service (remember that in Telegram you can send video clips up to 1 GB in size). Well, to find an instant messenger that would not be inferior to Skype for functionality and convenience, today is hardly possible. Among the considered alternatives the most worthy solution was the Google Hangouts service – there is no advertising, and the video on mobile platforms works well, and even you do not need to register specifically, but the list of contacts is downloaded from Gmail. However, other programs can also be suitable – it all depends on what features of Skype you use most often and on what devices are used to communicate. For example, for correspondence in the chat mode Telegram is excellent, for voice and video calls from the desktop is Jitsi, and for mobile communication by voice – Viber.